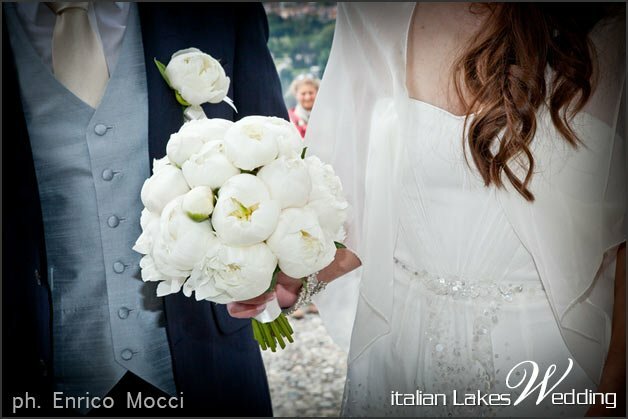 Just Married on Lake Orta » Peonies and Freesias for some late spring weddings! e are back with a new Just Married post! 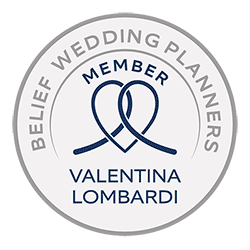 As you can imagine we are really into the season so we thought that a good weekly summary of our weddings could be something nice to post! 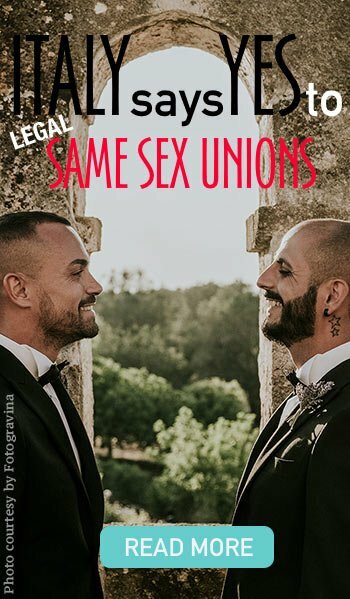 We hope you all love them! Week end started with a wonderful German couple: Christin and Gerd. They love Italian Lakes and they were so undecided about which one to choose. 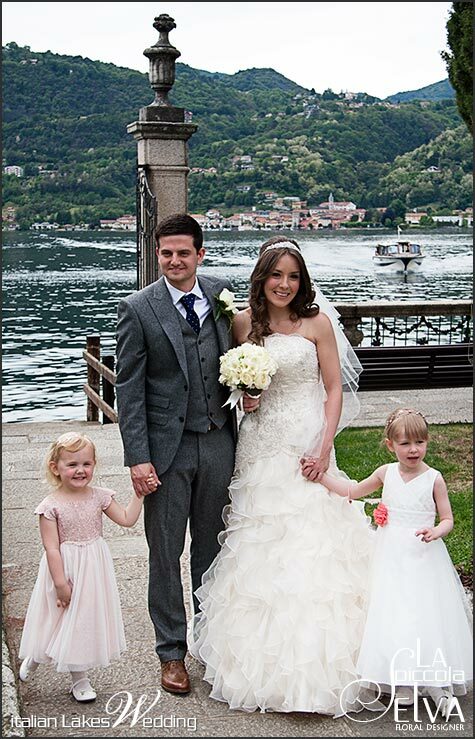 Last year they had 15 days holidays on our lakes to tour them all and they finally choose Lake Orta! This is a big satisfaction!! Our florist Monika – by La Piccola Selva Team – followed their floral arrangements for Sacro Monte Church and Palazzo Ubertini. So many lovely peonies! 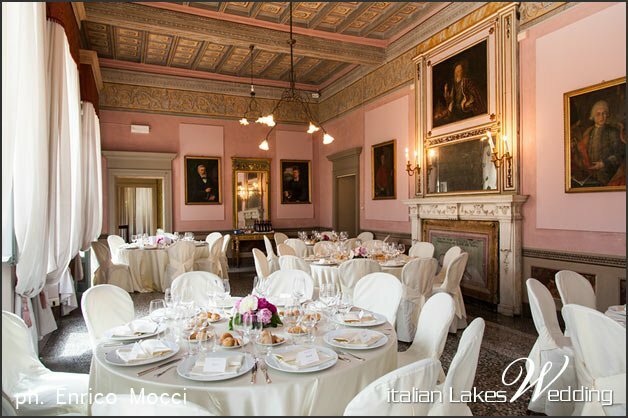 White peonies for Christin’s bouquet and Gerd’s buttonhole and white-pink-fuschsia peonies for centerpieces at Palazzo Penotti Ubertini. 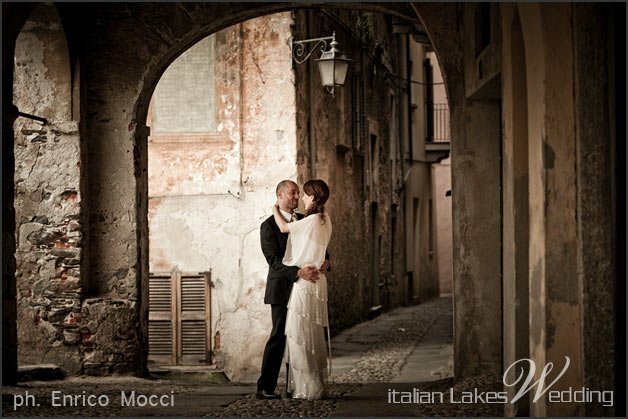 Enrico Mocci was the official photographer chosen by Christin and Gerd. 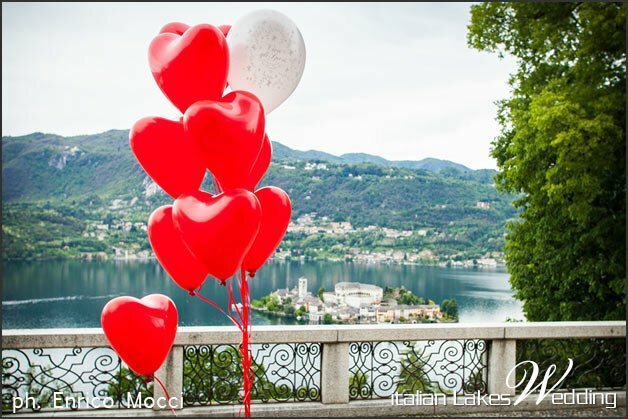 As usual he is really quick to deliver photos and we can show you here a great preview of this unforgettable wedding on Lake Orta. 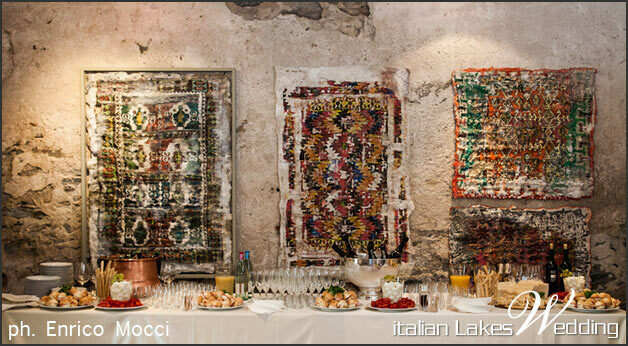 We will come back on this with a longer post and with many other photos by Enrico Moccii! rom Germany to England. 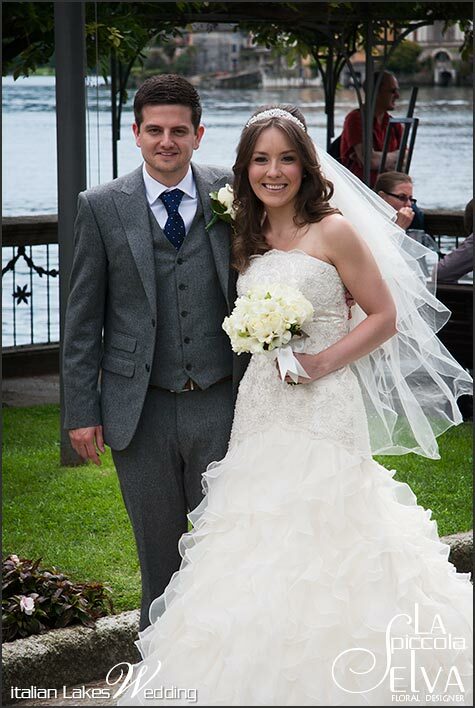 In the afternoon Lauren and Sean got married in the wonderful gardens of Villa Bossi. 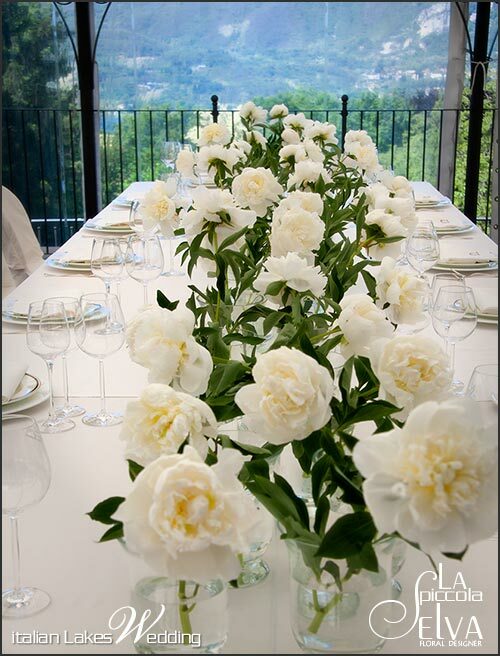 Our planner for Lake Orta Valentina followed them for some details of their planning while for the flower decorations La Piccola Selva Team created a little Freesias explosion! Lauren loved it! Bridesmaids’ bouquets were made with freesias too with little deep salmon roses to match the color of their lovely dress. unday was a wonderful sunny day on Lake Orta! 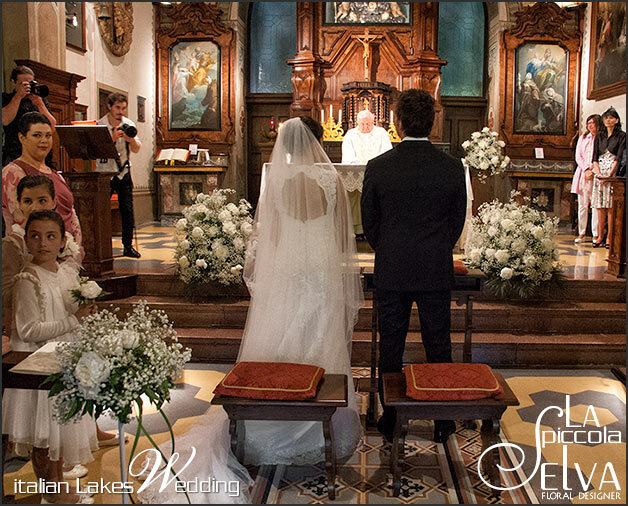 A blessed wedding for Barbara and Federico a lovely Italian couple from Bologna literally in love with Lake Orta. 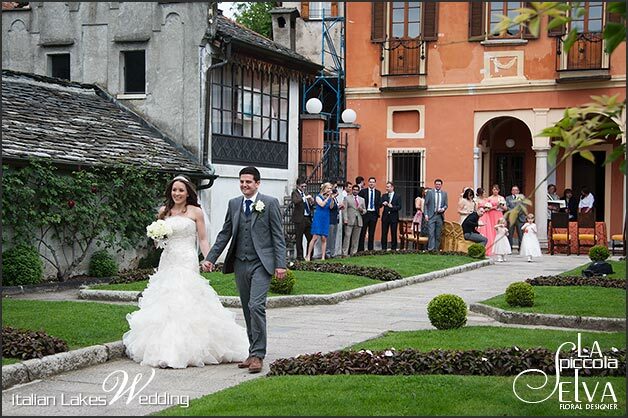 As Christin and Gerd they got married in Sacro Monte Church. A very moving catholic ceremony. 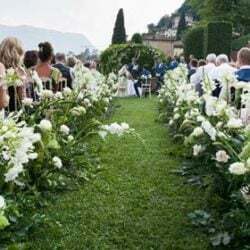 They also used peonies for their decorations which is a wonderful seasonal flower if you are thinking about getting married in May or June in Italy. Monika from La Piccola Selva Team created the full decoration set. 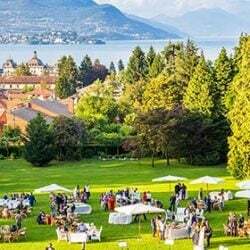 Reception was held to Villa Pestalozza on the hills of Lake Orta. We will surely come back to tell you more about Barbara and Federico’s wedding as soon as photographer Julian Kanz will send us some great shots. You can see here just a little preview! 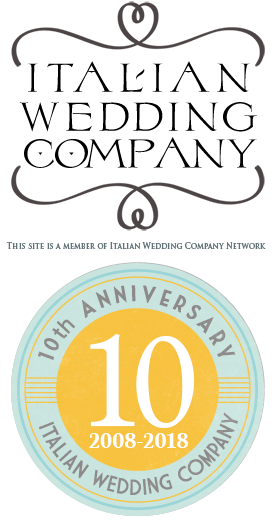 Stay tuned and you will find out more! And stay tuned also for next week weddings, we have some more wonderful to come and we are looking forward to tell you about them! 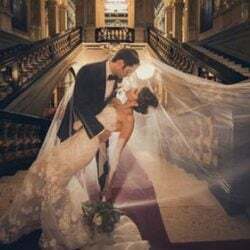 We take the occasion to thank all our brides and grooms and photographers that allow us to post on our pages their stories and their works. All of the stories we post are fully planned or partly followed by members of by our Team (planners, photographers, video makers, floral designer, musicians…) but without couples and photographers permissions, work and material, they will be just wonderful events kept in a drawer. 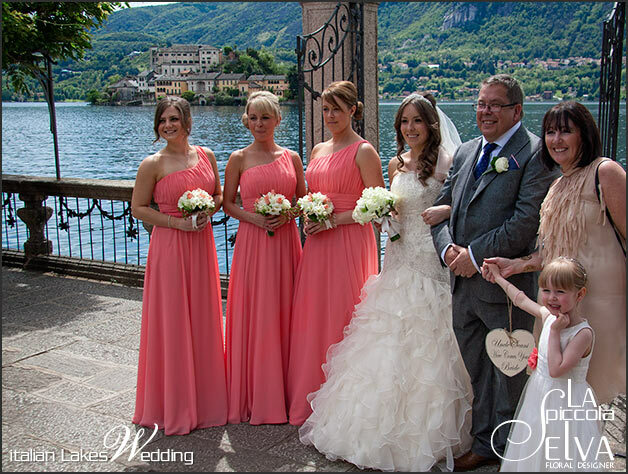 ← A great week on Lake Orta, Lake Maggiore and Lake Mergozzo » Our Just Married couples!